Henry Ford was born on 30 July, 1863 on a farm in Greenfield Township, Dearborn, Michigan, US. 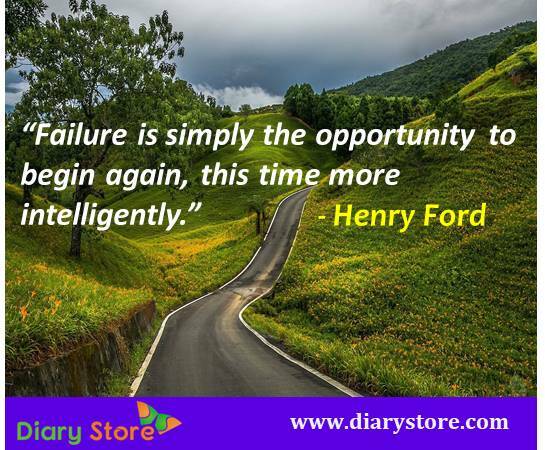 Henry Ford was an American captain of industry and the founder of The Ford Motor Company. Henry Ford played an excellent role in the development of Ford assembly line technique of mass production of automobiles. He did not invent any automobiles or the assembly line; he only developed and manufactured the automobiles. Before he started his company, only American rich families had their own automobiles. Middle class families were not able to buy automobiles for themselves. Henry ford manufactured affordable automobiles that did not burn a hole in the pocket of middle class people. He introduced the Model T automobile which is also known as the Tin Lizzie, Leaping Lena or flivver. It was the first car from the Ford company affordable to all American middle class community. Henry Ford became one of the richest people in the world and his style of manufacture, mass production of inexpensive goods coupled with high wages for workers and his anti-semitism came to be called “Fordism”. Ford Henry was also considered a pacifist on account of promoting anti-Semitism through his newspaper, The Dearborn Independent and the book The International Jew. William Ford and Mary Ford were the parents of Henry Ford. Margaret Ford, Jane Ford, Robert Ford and William Ford were the siblings of Henry Ford. In his early teens his father gave him a pocket-watch which he dismantled and reassembled. He also practiced assembling on the timepieces of his friends and neighbors and gained the reputation of a watch repairman. His mother died in 1876. He realized that he did not want to live on the farm. Ford left home in 1879 and he started work as an apprentice machinist with James Flower and Bros., in the beginning and with the Detroit Dry Dock Co. later. He returned to Dearborn in 1882 to work on the family farm and he became adept within a very short time at operating the Westinghouse portable steam engine. Later he was engaged by Westinghouse to service their steam engines. In 1888, Ford married Clara Jane Bryant. They had one son, Edsel Ford. Henry Ford became an Engineer for the Edison Electric Illuminating company in 1891. In 1896, he was promoted as a Chief Engineer of the Illuminating Company. He conducted his personal experiments on gasoline engines. Henry Ford built a self-propelled vehicle, the Quadricycle with a group of friends. 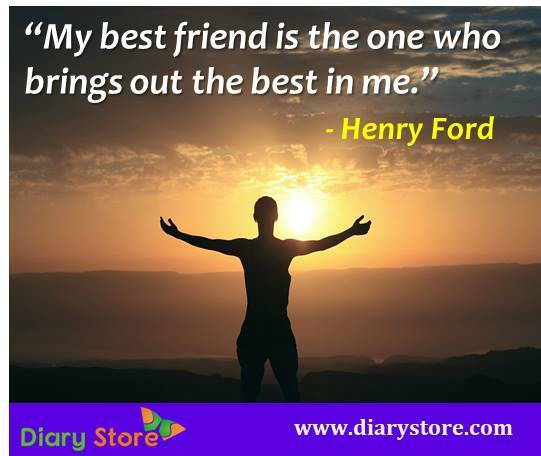 In 1898, Ford designed and built a second vehicle, on being motivated by a great scientist Thomas Edison. Henry Ford decided to start his own company and founded the Detroit Automobile company on August 5, 1899. However he closed his company very soon because of bleak performance of his automobile merchandise at the market. In October 1901, Ford designed, built and successfully raced a 26-horsepower automobile with the help of C. Harold Wills who was one of the first employees of Detroit Automobile Company. On November 30, 1901, the stakeholders in Detroit Automobile Company formed the Henry Ford Company. Ford left from the company because certain issues had come up among other stakeholders. Later the company was renamed as Cadillac Automobile Company after Ford had left off. Ford introduced the Model T in October 1908 and continued its manufacture until 1927, the first car made affordable for most Americans. This car was not only affordable but also very simple to drive and cheap to repair. Ford developed an assembly line for automobiles with the company staff in 1913. For producing automobiles on large scale, the company used its own new techniques which catapulted their output greatly. By 1918 half of all the cars in America were Model T’s. The Model T dominated the automobile market for several years. Ford gave the presidency of Ford Motor Company to his son, Edsel Ford in 1918. The sales of the Model T had begun to diminish from the mid-1920’s. In 1927, the company introduced the Ford Model A for overcoming the decline. Model A was sold profitably till 1931 but the company continued to plummet in sales in the 1930’s and by 1936, the company fell to third place in the US market. Ford was a pacifist; he opposed the United States entry into the World War II. One of the major US military contractors supplying airplanes, jeeps, tanks and engines was the Ford motor company when America entered the war. In 1943 Henry Ford’s son died of cancer. After his son’s death Ford formally resumed control of the company but key decisions were taken by others. 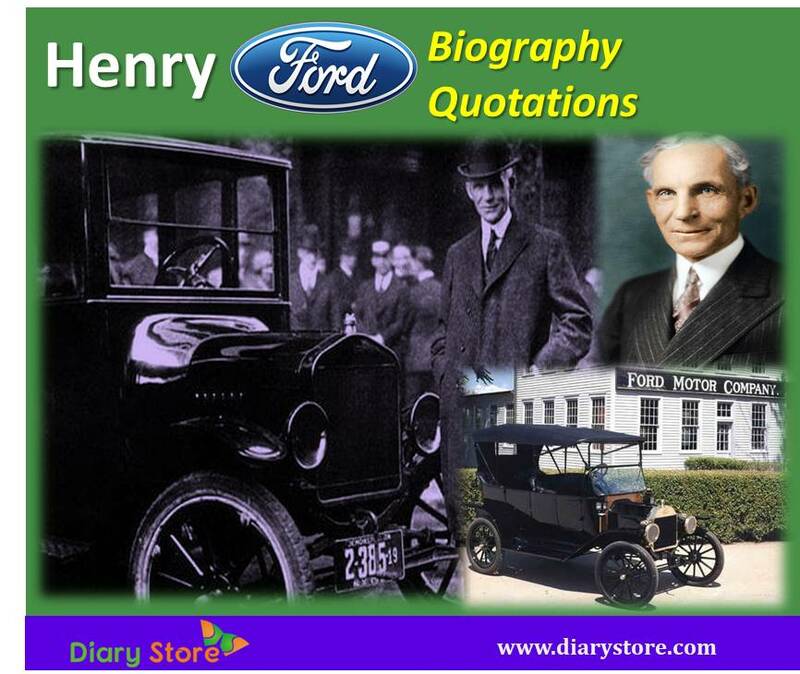 Finally Ford’s grandson, Henry Ford II became the president of the company. On 1913, Ford installed the first moving assembly line. It was for the purpose of reducing the time for building the automobiles from 12 hours to two hours and 30 minutes, which reduced the cost of the Model T from $850 in 1908 to $310 by 1926 helping in creation of an improved model. Ford introduced the $5 wage in 1914 for an eight-hour workday. The wages increased to $110 by 2011; the wages got multipled many times subsequently. It was hailed as the method of retaining the best workers in his company. Ford became famous owing to the sale of inexpensive automobiles manufactured by well-paid workers. Henry Ford sponsored a weekly newspaper The Dearborn Independent in the early 1920s. It is also known as The Ford International Weekly paper. The weekly paper was published from 1919 through 1927, with Liebold as its editor. The Ford company earned a good public esteem as one of the few companies which provided livelihood for black workers and was never accused of anti-Semitism. “The International Jew: The World’s Foremost Problem” pamphlet was published by Ford in 1921. Ford was awarded by Adolf Hitler in 1938, the Grand Cross of the German Eagle, the most important award Nazis gave to foreigners. When Henry Ford’s son, Edsel Ford died of cancer in May 1943, he decided to handle the presidency himself. By this time Ford had several cardiac strokes / heart attacks and he seemed not fit to continue to handle the company affairs. The company management never opposed the presidentship of Ford during the previous 20 years when it was run successfully by Ford. The Company Board elected him in spite of his health problems and he served as president until the end of the war. During this period the company began to incur losses of $10 million a month. As the then US President Franklin Roosevelt wanted uninterrupted production of war materials, his government thought of taking over the company which was making continuous losses, but the idea did not materialize. In September 1945, Henry Ford passed on his presidentship to his grandson Henry Ford II because of his deteriorating health. 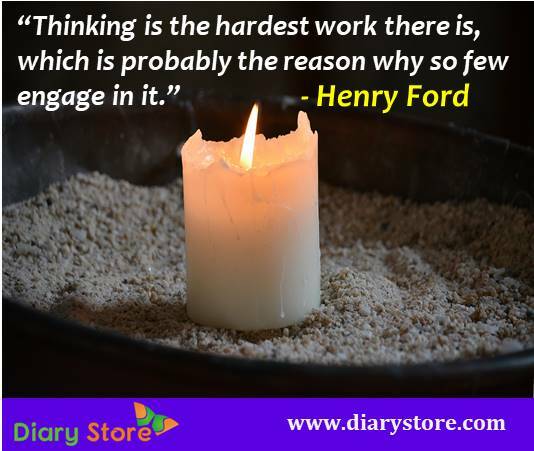 On 7 April 1947 at the age of 83 Henry Ford died of a cerebral hemorrhage at Fair Lane. Ford was awarded the Franklin Institute’s Elliot Cresson Medal in 1928. Ford was awarded Nazi Germany’s Grand Cross of the German Eagle in 1938, a medal given to foreigners sympathetic to Nazism. “Experience is the thing of supreme value".